Plastic use and waste is a human and environmental crisis that needs to be taken seriously – today more than. Of the 9 billion tons of plastic that has been created since the 1950s, over 70% of it has gone to waste. Some of this waste finds itself in landfill and in the oceans, affecting marine life as most of them will swallow the plastic. Thus, with the amount of plastic waste lingering in our oceans, our land as well as the amount of plastic used in packaging- would it really come as a surprise if we were to discover some form of plastic in our bodies – such as the microplastics that have recently been detected? Microplastics are tiny plastic pieces that have been broken off from larger, pieces of disintegrating plastic.They’re often consumed by marine life and they can also be found in the air and bottled water. In fact, one other recent study also found traces of microplastics in soft drinks. As microplastics are so often easily ingested by sea creatures, researchers from the Medical University of Vienna and the Environment Agency Austria set out to uncover if, when entering the food chain, these microplastics could leave traces in our bodies. The study sourced eight participants from Finland, Italy, Japan, the Netherlands, Poland, Russia, the U.K., and Austria- three were men, five were women and they were aged 33 to 65. Each participants was given a food diary for a week where they noted their exposure to plastic- which occurred when they consumed plastic wrapped foods or drank from plastic bottles (on average, they drank about 25 ounces of water daily from plastic bottles). None of the participants were vegetarians whilst six of them consumed seafood and two out of the eight chewed gum daily.. The participants then provided stool samples which the researchers tested at the Environment Agency Austria for 10 types of plastics following a newly developed analytical procedure. The study’s results – which were presented at the United European Gastroenterology Week in Vienna – showed that every single stool tested contained plastic particles. Specifically, on average the researchers found 20 microplastic particles per 10g of stool. In fact, nine different types of plastic, sized between 50 and 500 micrometers, were identified. The most common plastics found were polypropylene (PP) and polyethylene-terephthalate (PET) plastics-both of which are use in water bottles and packaging. Based on the study’s findings, the researchers believe that more than half of the world’s population might have microplastics in their stools. While this is a troubling fact, they do admit that more research is needed to support this theory. While there is still a lot to be learnt about the effects of microplastics in the body, the presence in the gut is likely to cause digestive health concerns. 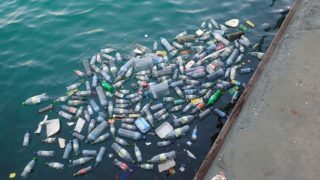 Now that we have concrete evidence that plastic can make its way into our bodies, it’s time to take a more forceful stance when it comes to reducing both plastic usage and waste. Plenty of countries have already banned the use of plastic bags and the European parliament has even already voted for an EU-wide ban on microplastics in cosmetics. 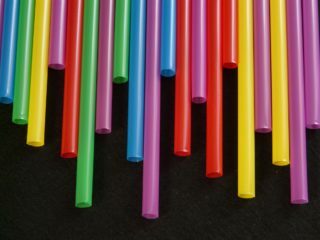 Moreover, he European commission has proposed a ban on single-use plastic products such as cotton buds and plastic straws. By 2025, European nations are supposed to have collected 90% of single-use plastic drink bottles. If that’s not enough, the British government recently announced a consultation on proposals to ban plastic straws, drink stirrers and cotton buds, which can turn into microplastics as they break down. The ban is expected to come into force by October 2020. With various different governments doing their best to curb plastic use, only one questions remains – are we doing enough? 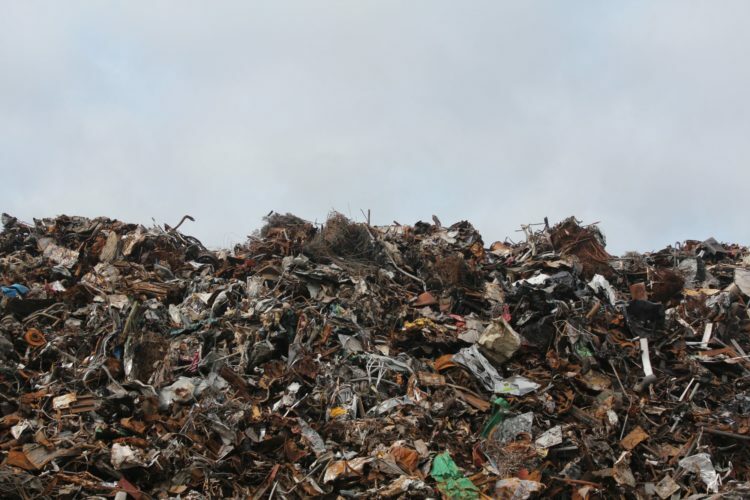 According to a study published in the Science Advances journal, 8,3 billion tons is the accumulative number for all the plastic that has ever been manufactured, starting from the 1950’s. This number is enough to cover the surface area of the 8th biggest country on earth. If you were to spread this down to an ankle-deep depth, you would not be able to see the soil of Argentina – at all. Of this number, 6,3 billion tons have already become trash, and almost 80% of that amount is currently sitting in landfills. Furthermore, 8 million tons end up in the world’s oceans, killing marine life at an alarming rate.Click here to discover how long it actually takes for plastic trash to decompose – in some forms, it never happens.